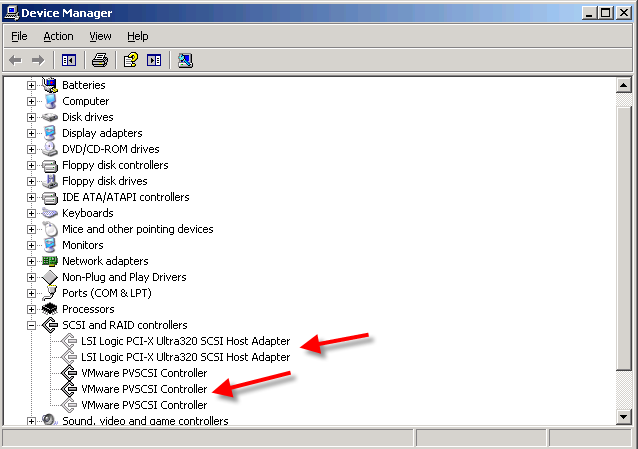 Basically, there are 2 errors you may encounter during adding pvscsi device to windows 2k3 and 2k8. After you added new disks, you encounter PXE issue. Even if disk you installed is the secondary disk, you will still encounter this issue. Just spoke to Vmware support and they are able to reproduce this issue in their lab. Vmware vCenter 4 U2 can’t take too many options in adding and changing hardware at same time. so do one step a time. E.g: add disk. then, click ok. Get into setting, change type of scsi, ok. etc. 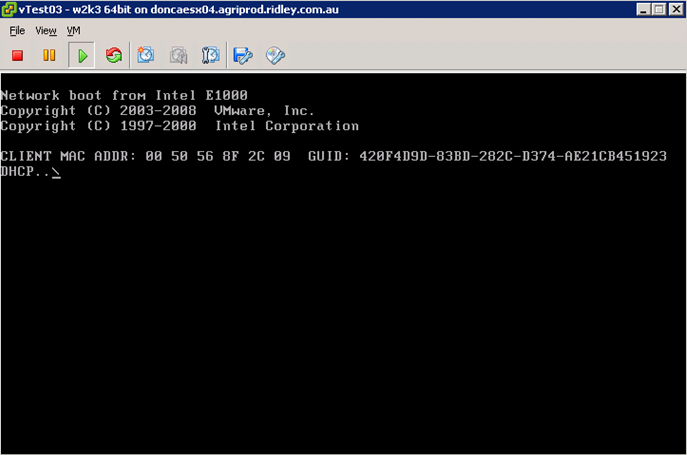 This issue is caused by boot SCSI card sequence has changed after you delete and add new SCSI controller. All what you need to do is to make sure the SCSI (0:0) is in the first bootable position like what you can see in the diagram. 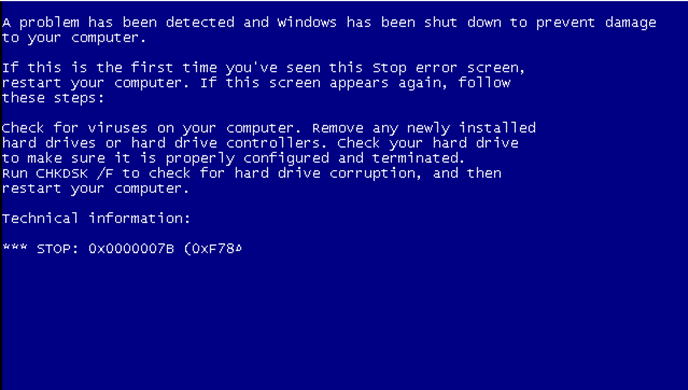 After changing boot disk SCSI controller type, you can see windows started, then, you encounter blue screen. The system keep restarts. Cause: Windows doesn’t have your SCSI driver. 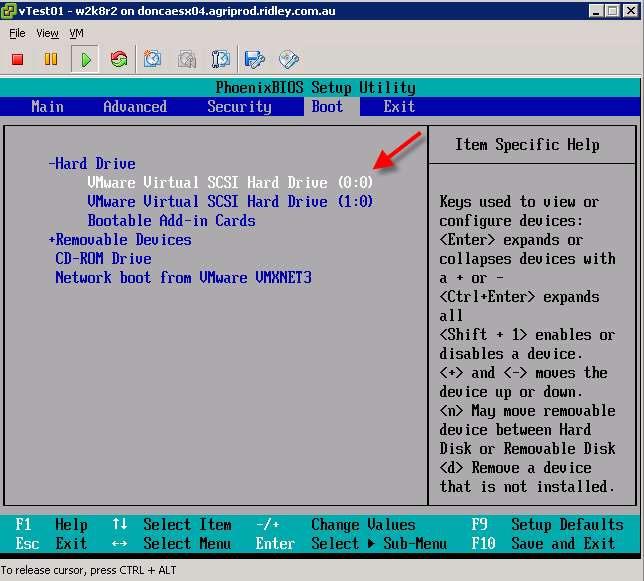 Solution: You must have all SCSI drivers available in device manager before you load all type of disks. If you build machine with PVSCSI, you won’t have LSI SCSI driver. 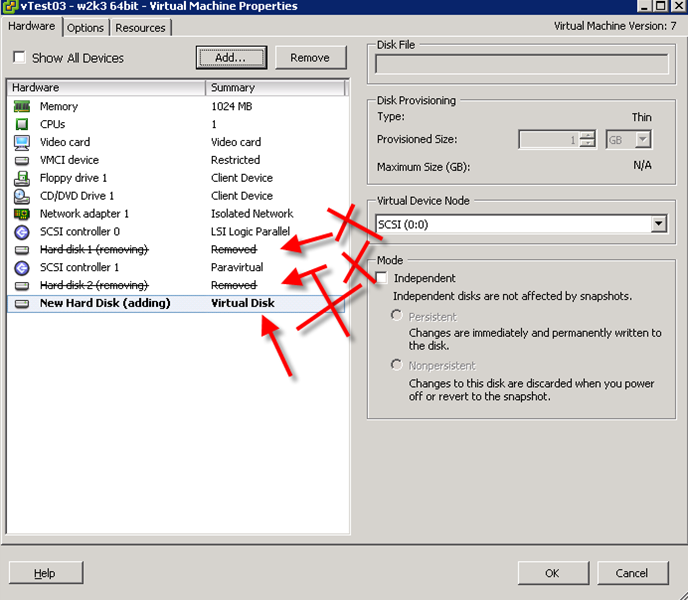 So you need to add secondary disk of LSI to let vmtools to install driver.